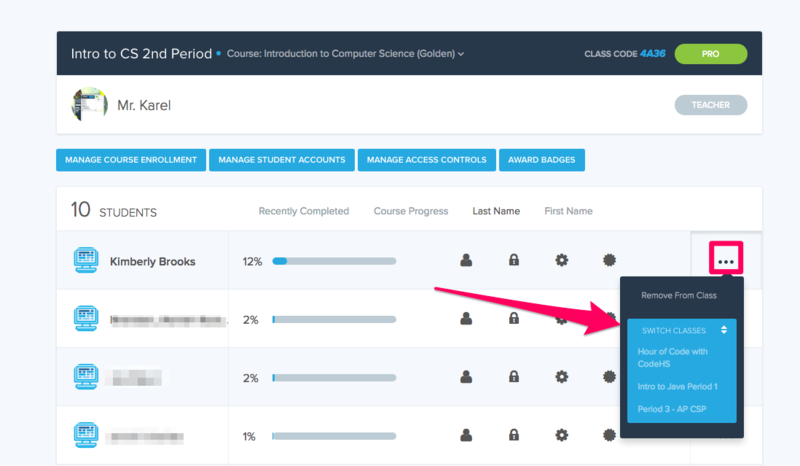 If you accidentally remove a student from one of your classes, they should visit codehs.com/join_class and enter your class code to rejoin your class. If they accidentally joined or switched into the wrong class, they should visit codehs.com/switch_class and enter your four digit class code to switch into your class. You can also switch a student to a different section by going to your roster page and clicking on the "..." to the right of the student's name. This will allow you to switch the student to any of your sections.